I have been reading Barbara Kingsolver’s Animal, Vegetable, Miracle and in her book she talks about the importance of eating greens and why so many kids dislike spinach. Her theory is that when you overcook spinach, it turns almost black, and no child will want to eat a lump of black goo. Fair enough. Not many adults would either. I am a lover of all things green and leady (and no, this does NOT include the green leafie that goes into ‘special’ brownies…I am a responsibe mother!) and I try and include something every day. 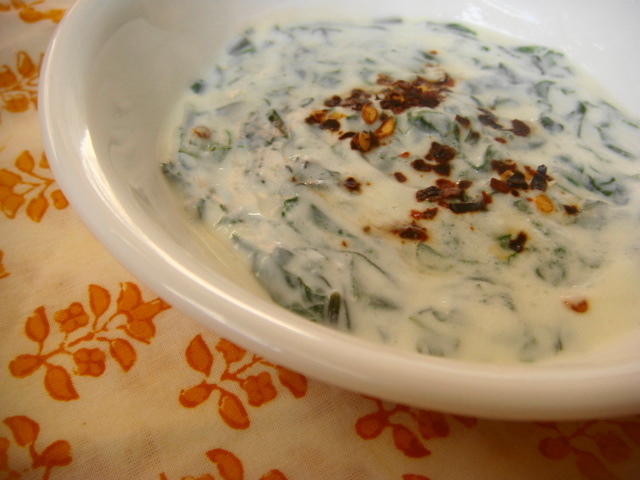 The easiest recipe for spinach I have is a spinach raita or yogurt-based salad my mom makes. It is so easy, and is such a great accompaniment to roti and rice, and it works with all kinds of Indian cuisine. All you need is a bunch of spinach, some yogurt and salt. THAT’S IT. You may also take the liberty of adding other green garnishes like mint and cilantro, but this raita tastes good as is. I learned this from Rachel Allen’s Home Cooking, when she was making a spinach quiche. 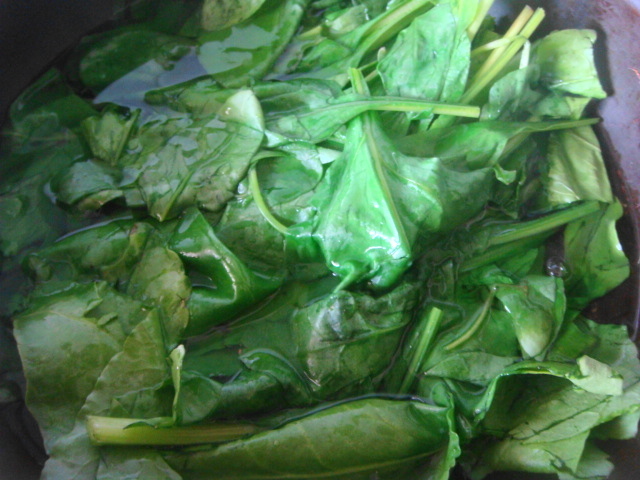 She said that when blanching spinach, only pour enough water to just about cover the spinach. Drowning it in water will rob the spinach of all it’s goodness, because the folic acid will seep out. So add water accordingly. 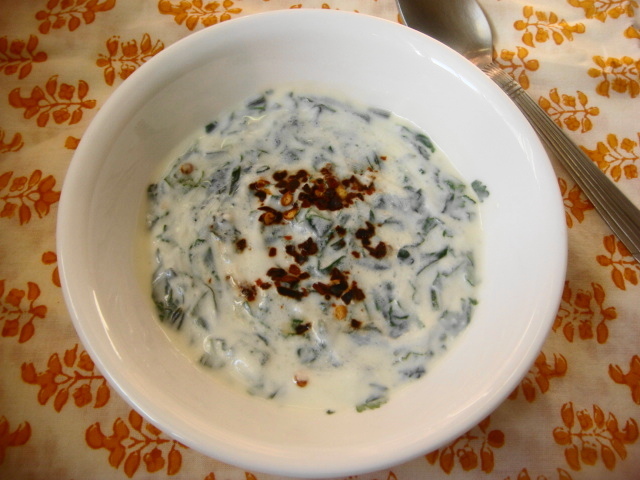 In a bowl, mix yogurt, chopped spinach, mint and cilantro until evenly combined. Add salt to taste. That’s it! !